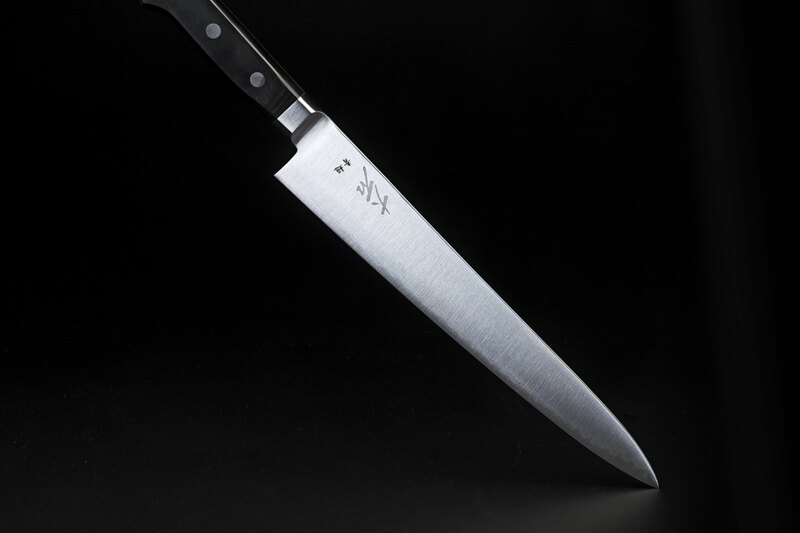 Soft stainless steel on the surface, finished using the flattening Migaki technique enables the user to do smooth and detailed work. The Aogami Super steel guarantees for high durability and high-end material quality. Core: Aogami Super steel, hardened to HRC63-64. Blade: Closed welded bolster to seal the blade from the handle. Handle: Black Micarta wood, triple riveted tang.